Contact LI Computer Repair today to learn about the best possible networking solutions for you! East Quogue computer repair done right. Long Island Computer Repair will come to your home or office and get you back online fast. Long Island Computer Repair is East Quogue's leading computer repair provider. Founded in 2000, Long Island Computer Repair offers Business Network Consulting services and information technology solutions to many small and medium-sized businesses in the Suffolk and Nassau Counties on Long Island. Our Business Network Consulting services strategically focus on supporting mission-critical systems through our proven technology solutions. At Long Island Computer Repair we pride ourselves on getting IT right for our customers the first time. If you call Long Island Computer Repair in East Quogue, that is exactly the kind of service you will receive -- we guarantee it. Expert IT Support in Microsoft Windows Servers from version 2000 to Microsoft Windows 2016. We support Microsoft Exchange, Peachtree, Quickbooks, custom medical software, law office software, accounting software, and all Microsoft products. At Long Island Computer Repair, our computer technicians are IT professionals and experts in all of the different IT technologies. We have the training, knowledge and experience to tackle any problem you're having with your network, computers, servers, peripherals, or handheld devices. We also understand the challenges that technology can sometimes present to our clients. We know that if something isn't working like it should be, it can create a major disruption in your day-to-day life. Long Island Computer Repair provides IT support services from your general end-user support to more advanced tasks such as web hosting and server maintenance as part of our small business IT support. Let Long Island Computer Repair take care of your technical issues so you can concentrate on taking care of business. If you are a home user who needs their computer repaired, upgraded, or just need some new software installed, we can help. Check out our list of services and let us know exactly what you need. All it takes is one simple call. You can always trust that you’ll be dealing with a computer home repair expert at Long Island Computer Repair. Even if you’ve tried fixing it yourself, or are worried you’ve made the problem worse, give us a call. We're happy to answer your questions or set up an appointment to come to your home and fix the problem. 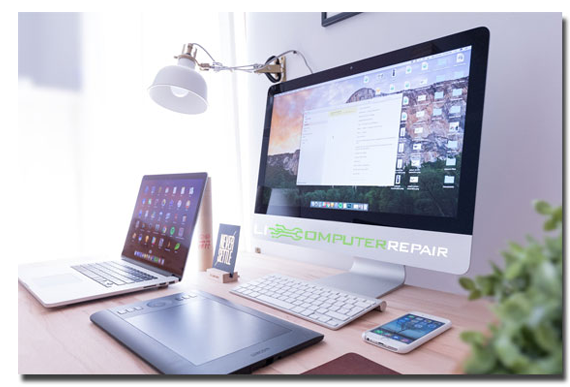 Long Island Computer Repair provides in-home computer services in East Quogue, on-site business computer services in East Quogue, and over the phone IT support. Browse our website to get a full list of computer repair services we offer. We will give you a clear-set price so there are no surprises when you hire LI Computer Repair. We're proud of our expertise and ready to answer your questions. Long Island Computer Repair provides professional and affordable computer support, computer and IT solutions to all of its clients in the East Quogue, Long Island area. We repair all brands & models of PC Computers, Laptops, Macs and Notebooks. Dell, HP, IBM, Lenovo, Sony Vaio, Toshiba Laptops, Alienware, Compaq, Gateway, Acer, Veritek, Emachines, and all PC Computer Systems are welcomed at Long Island Computer Repair. Schedule an appointment to get help on-site, or call/email/text us for a faster response. We use powerful software to share your screen and get you help with a minimal wait. Rest assured knowing that our advanced technical knowledge and training will ensure your workstations are secure and optimized for maximum performance. Keep your workstations secure and protected from viruses, prying eyes, or thieves. Know where all of your machines are at all time and keep your data backed up 24/7. Server Administration, Print Queues, Active Directory, IP Reservations, Backup Administration, File Restores, Server Install, Email Administration, Quickbooks, In-House Software, Medical Software, Firewalls, VPN. 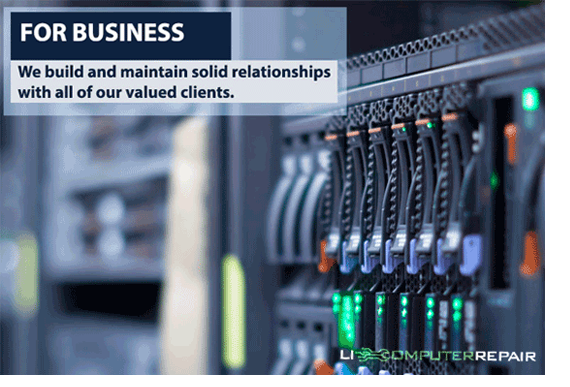 Long Island Computer Repair provides IT support services, IT hosting, and data backup to businesses and non-profits on Long Island. Our services are designed to help the business owner grow, manage, and protect the organization they've worked so hard to build. We are entrepreneurs just like you, so we know that your time and resources are precious and that you need to be focused on what's most important. Leverage our small business IT support expertise and passion for small business success to your advantage - whether that's providing IT support to your employees, or protecting your critical data. With Long Island Computer Repair, you can count on experiencing the remarkable service and commitment, delivered by a team that is 100% committed to your success and satisfaction. Long Island Computer Repair offers your business many options when it comes to your office server, including Windows Server 2008, Windows Small Business Server 2003, Windows 2003 Server, Exchange 2003, and more. Call us today. Looking for a computer service company that is easy To work with? If you are looking for this kind of company to take care of your small business, please contact us today. A network support professional would be happy to chat with you about how we can help you achieve your business goals. For Over 17 years, Long Island Computer Repair has been providing high quality computer repair services for residential and business customers in Suffolk and Nassau Counties on Long Island, New York. WE MAKE TECHNOLOGY WORK FOR YOU. Reliable Service, Affordable Prices.